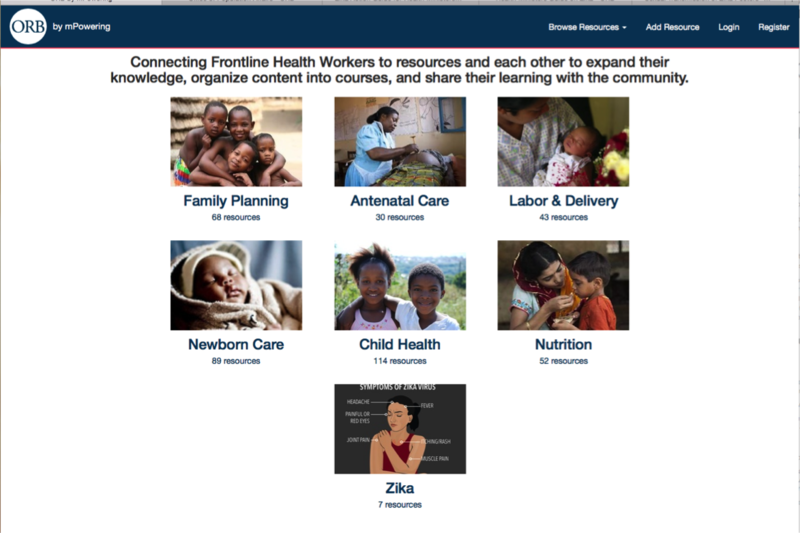 mPowering Frontline Health Workers hosts mobile-friendly materials to support training for frontline health workers on Zika on its ORB platform. The ORB platform connects trainers and frontline health workers to mobile-ready training resources. For content developers, ORB delivers content to a large audience of trainers, implementers, and health workers.